In both cases, to add an item, click on the button. 2.1. “Import from Database” – This option will allow you to select from previously enteres into the Data base items. To locate an item simply start typing the name of the item into search field. Once you have located the one you need, tap on the item to select it and confirm your choice by pressing the Add button. The new window that will open contains previously entered details about the specific item you have just selected. It has all relevant fields prepopulated with the information you have entered when adding this item into the JGID inventory the first time. Bear in mind, that you can still change all the information in the data fields based on the project update you have. 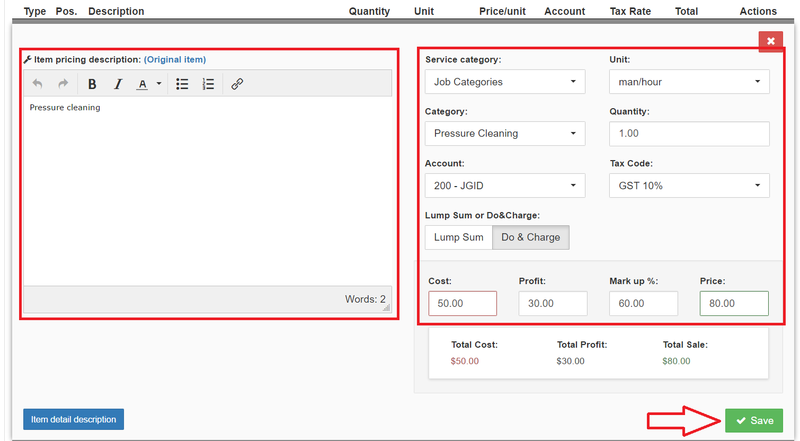 Once you are happy with the adjustments, click on the Save button to add the item to the Quote. 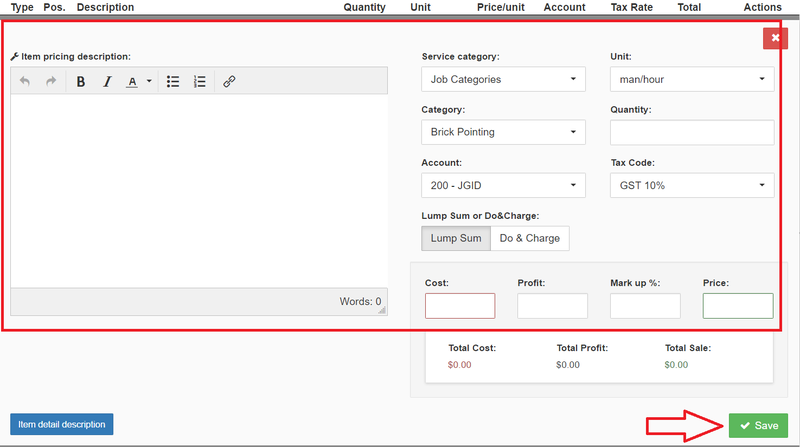 Second once you create this item entry into your current quote, it is not automatically entered into the JGID inventory. In order to have this same item enlisted into your inventory as selection ready listing for subsequent usage, you should use the Add Item feature from the Inventory Section. Again, when you are ready to proceed with the custom item you have just edited, click on the Save button to add it to the Quote.